Best Beauty Discoveries of 2014! I know everyone is saying it, so I won’t launch into a spiel about how quickly 2014 went by 🙂 I think the biggest impression that 2014 had on me was all the changes in my life. I graduated cosmetology school, married the love of my life, moved to California, and am currently thriving in my role as a wife and homemaker. And along with new adventures this year, I’ve also discovered new makeup products that I’ve grown to love and really depend on as a staple in my every day makeup routine. I can’t believe it’s taken me so long to try these lip creams, but they are amazing!! They remind me of more affordable options for the Kat Von D Everlasting Liquid Lipstick and the Stila Stay All Day Liquid Lipstick. They don’t last as long as them, but they still do a fantastic job, and for $6, who can complain? I was sent both of these to try out this year, and I really like how well these foundations cover. If I don’t have any new breakouts, I can often get away without concealer when I wear this (and for those who don’t know, I have very acne-prone skin). I prefer the regular formula over the Illumination (because I get oily throughout the day), but if you have dry skin, I think you’d love the Illumination one! And this is very good product for prom night! I finally caved and bought this bronzer after eying their extensive bronzer collection in the Sephora stores for months. This doesn’t smell as chocolatey as their milk chocolate one, but it does a fabulous job at bronzing my skin up. I love it! It’s really the perfect tone for my skin. 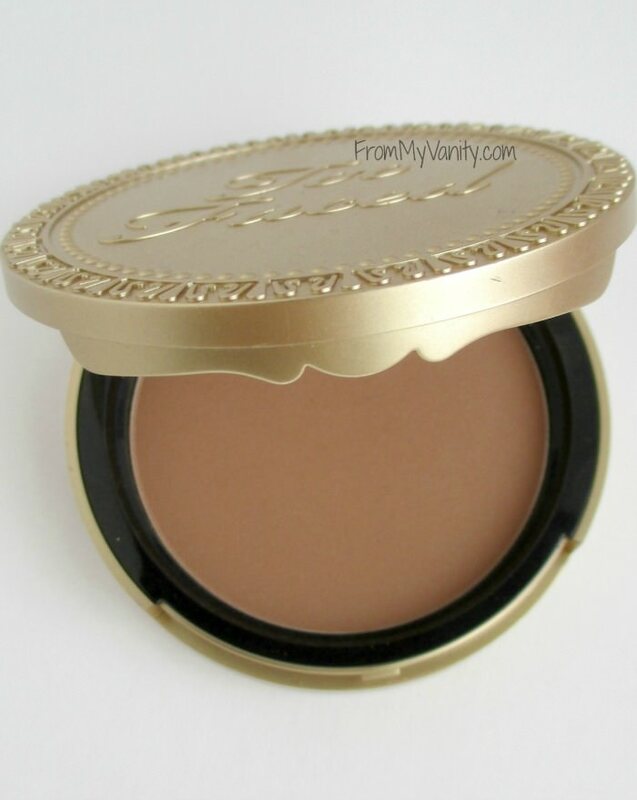 It makes me want to try out some more cheek products from Too Faced in the future. I purchased this after hearing Emily on Beauty Broadcast rave about it so much…and I’ve grown to love it as well! If there’s any sort of cream cheek product — blush, highlighter, or bronzer — this is the brush I grab. It works wonders — and it’s only $3!! 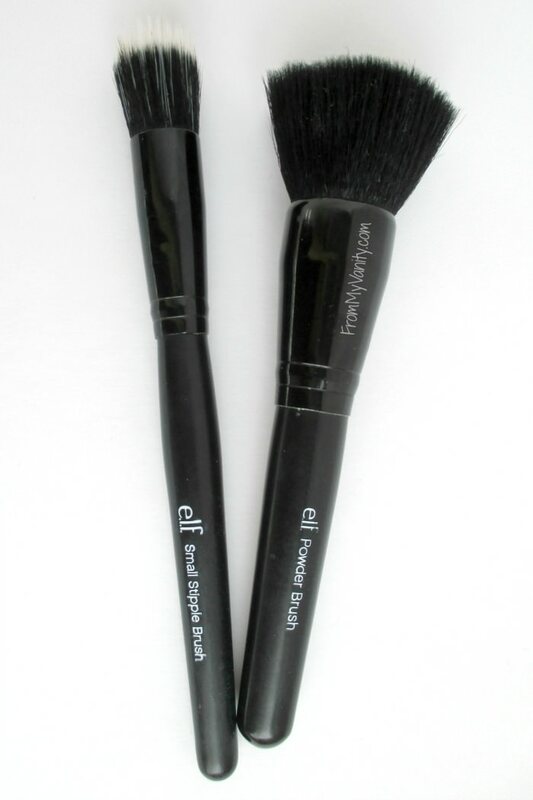 I’ve also included a snapshot of the ELF Studio Powder Brush. I’ve owned this for over 3 years, so it’s not a new find, but it’s absolutely my favorite brush from ELF. I’ve used it to apply both liquid and powder foundations. You get amazing value in this $3 brush. I purchased this one shortly before my wedding, as I wanted a good, affordable concealer for any acne spots that I may have. It does a fabulous job at concealing my spots. 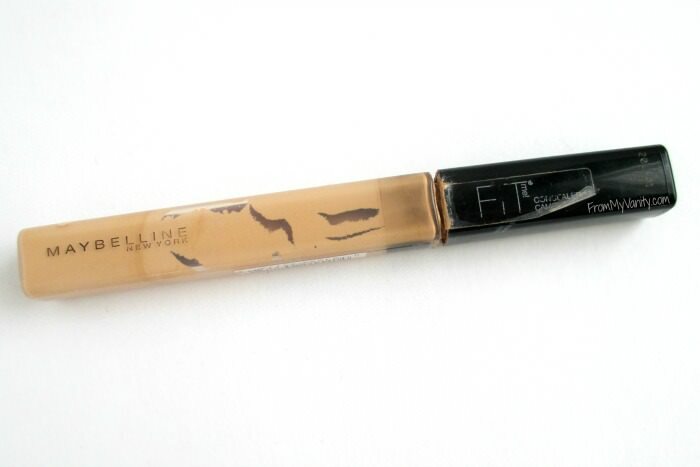 This was the first concealer that I purchased at the drugstore (after trying many others) that actually concealed my acne and held up all day. Definitely worth purchasing! I purchased the Creme Lipstick duo on a whim, when I was standing in the checkout line at Sephora…and I’m so glad I did! They glide on like butter! !They have a wide, beautiful shade selection, and are really pigmented, too! I snagged the Bite Beauty Remix over the holidays and love them, as well. They feel amazing on my lips — very hydrating. This is another product I was influenced to try because of YouTube. 🙂 Dani on Coffee Break with Dani is always raving about this company, and I finally tried out several of their products. 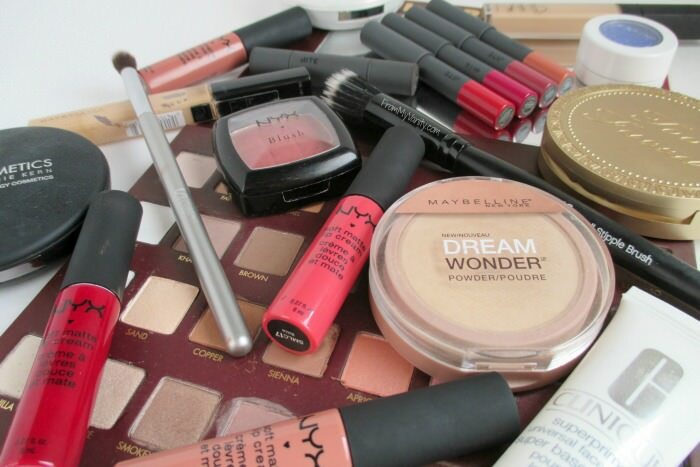 I’ve discovered that while I am not a huge fan of their more ‘normal’ shades, I do love their bright shades. 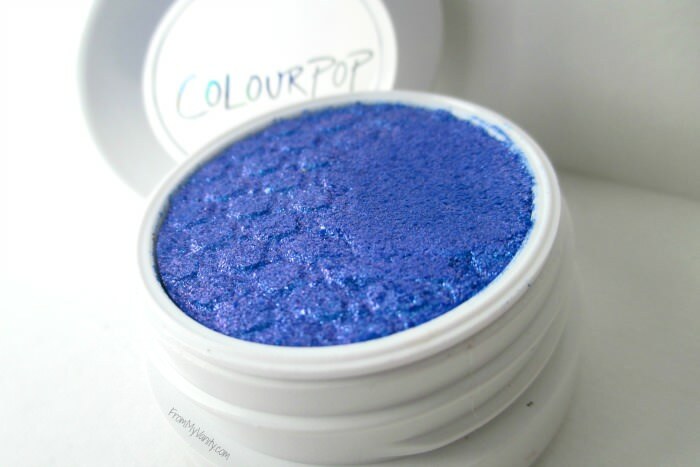 I’ve really been into adding a pop of color to my lower lash line, and this bright blue color does the trick every time. These brushes from It Cosmetics are so luxurious…and pricey! 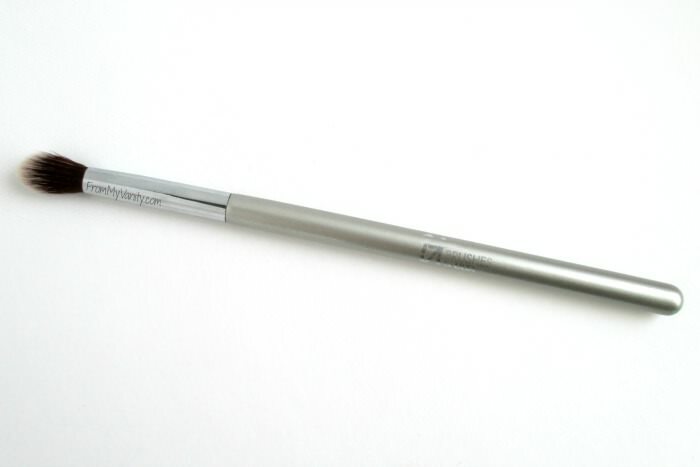 I couldn’t bring myself to buy a face brush, so I decided to try this crease blending brush. And…wow…it feels so soft! It’s the most luxurious brush I own, and I find myself always reaching for it to blend out my colors. Definitely makes me want to get more from this line! I was wanting a foundation primer that wouldn’t agitate my skin or cause breakouts, and I had read that this one was incredibly gentle so I tried it out. And have really been loving it. It’s not one of those primers that sits on top of your skin…this one soaks in and almost disappears. But it helps my makeup glide on beautifully and it stays all day. And the tube lasts a good while, so that’s nice to know. 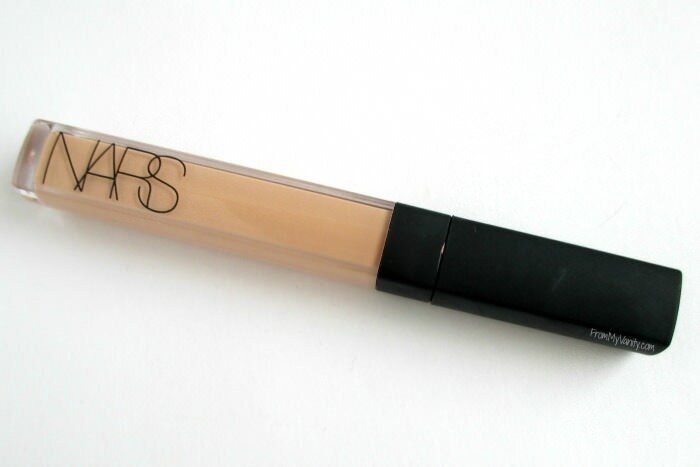 I finally took the plunge and decided to try this concealer. I kept hearing awesome things about it from beauty bloggers, so it’s another one of those “youtube made me do it”. 🙂 I am glad I did, though, because this concealer is unlike anything else I’ve ever tried. It’s pigmented, creamy, and doesn’t budge. If you can afford this luxury concealer, I say try it out! It’s a real bummer that this palette was limited edition, but I was able to snag it in the last batch that Amazon offered. It quickly became my #1 palette. This is the palette I take whenever I am traveling, and it has all the colors I could possibly need. It was a pretty penny, but I find that it was so worth it. 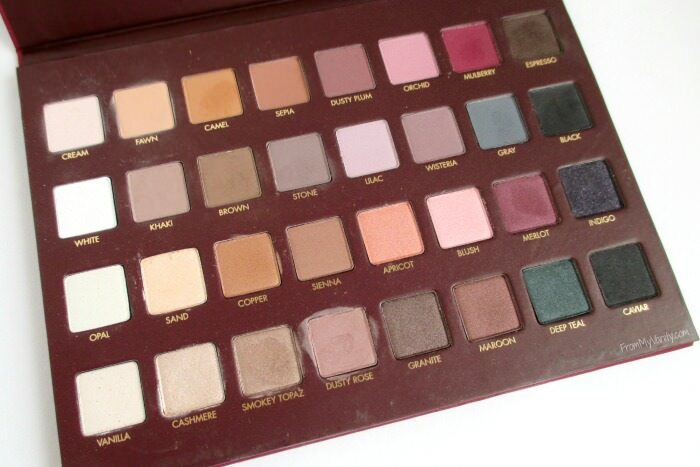 If you weren’t an eyeshadow junkie (like me) you could get away with this as your only eyeshadow palette and create tons of looks with it. 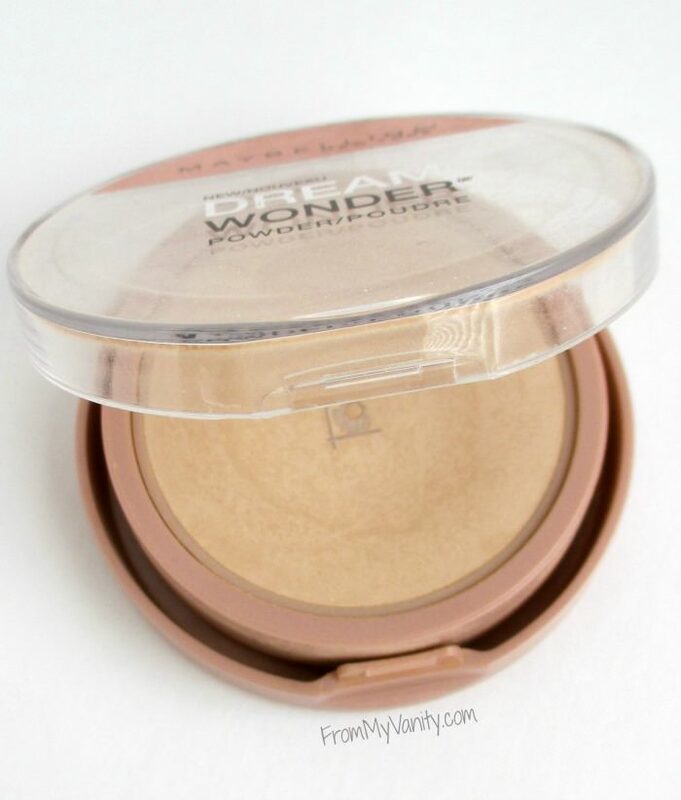 I picked this up on a whim when I went to the drugstore to replace my face powder that I use to set my foundation with. 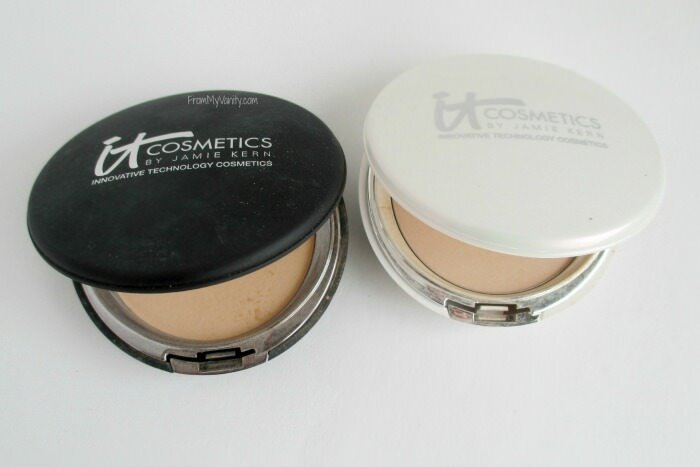 This powder is very fine and light weight, making it a perfect powder to set my foundation with. I use a big fluffy brush to lightly set my makeup and then I’m good to go. Don’t really have a problem looking cakey with this powder. And you’ve reached the end of my look back on some great finds from 2014. If you’re still reading, give yourself a BIG pat on the back! Thank you!! Share with me your favorite beauty product that you discovered during 2014 in the comments below! 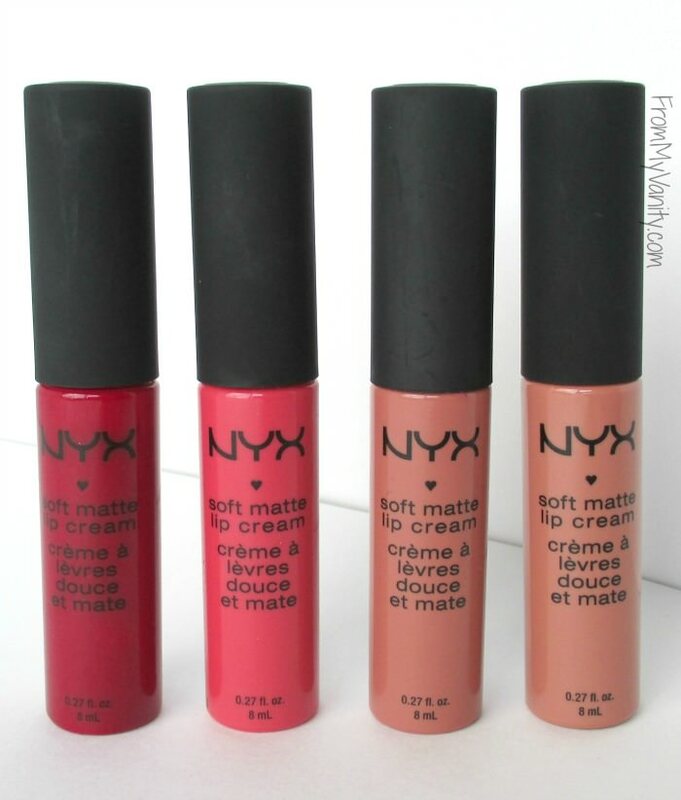 Do you know, are the NYX lip crèmes only available online? Love the It for Ulta brushes! The face brushes are a splurge but so luxurious and worth it! Yay for the Maybelline Fit Me concealer!! It doesn't get enough love considering that it's almost a dupe for the NARS one 🙂 Love the LORAC Pro palette as well! you already know my love for the mega pro!! and i;ve been through so many ELF brushes, but they have some great ones! 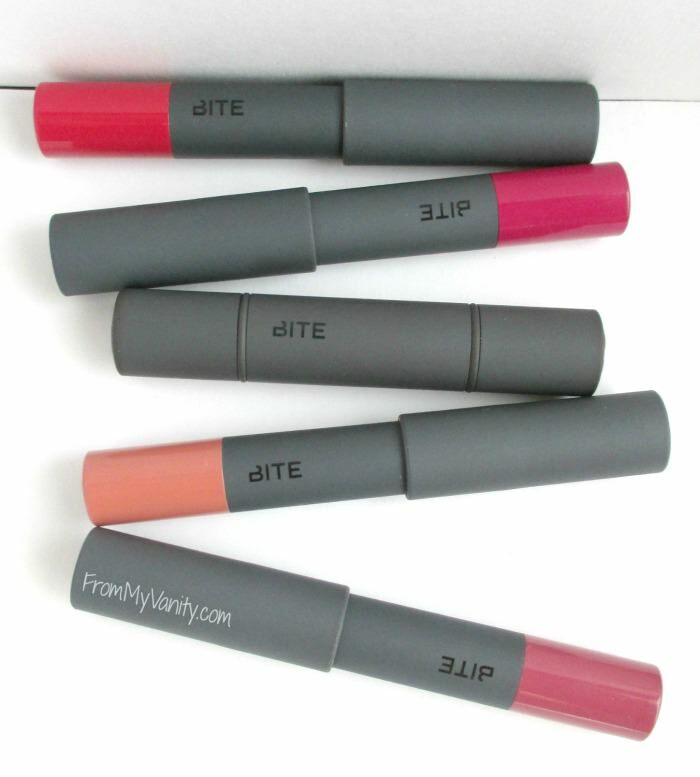 Patty – No, my Ulta has the lip creams available in store — and a few of them even had the "Try Me" sticker on them so I could test them out. Which I love doing! Because, for some reasons, the packaging on these lip creams aren't very accurate. Monica – I know, they can make a deep dent in your pocket. But every time I go into Ulta I always stop by to touch them…and I have a feeling I'll be caving sometime in the near future and trying one of the big fluffy brushes. So soft!! Laura – I've never tried anything from BareEssentials before, but good to know their foundation is worth checking out! Oh, I know what you mean — who want's to have raccoon eyes?! I typically have a problem with getting black flecks from my mascara onto my face throughout the day. SO annoying, because when I go to swipe them off, they streak black across my face. Totally why I go for waterproof mascara! Thanks for sharing this list and especially for including items that I can afford even on a shoestring budget! 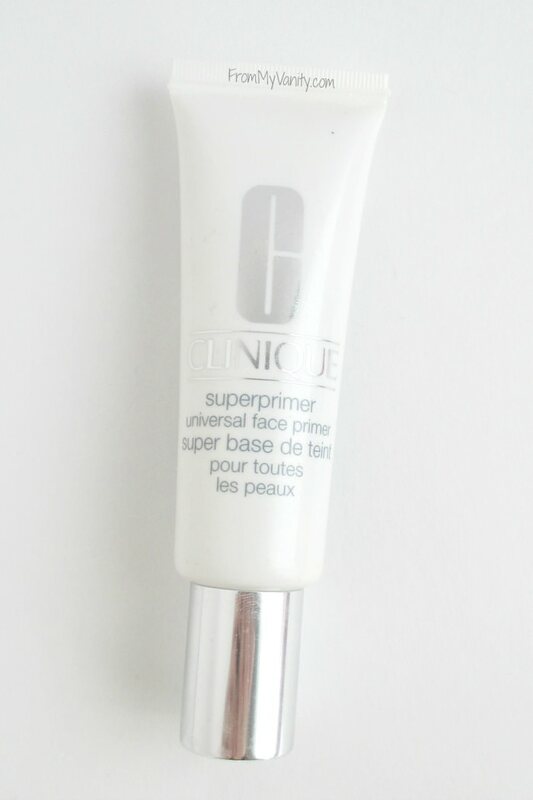 I really want to try some primer and I really trust Clinique so that is one that I plan to splurge a little extra on! I discovered last year, after many years of not being able to wear lipstick, that I could usually use Bert’s Bees Lip Gloss. I didn’t wear it often and I usually wiped my lips off with some aloe vera. I had gradually become allergic to all lipsticks and my lips would break out in cold sores. It feels wonderful to be able to put some color on my lips again.